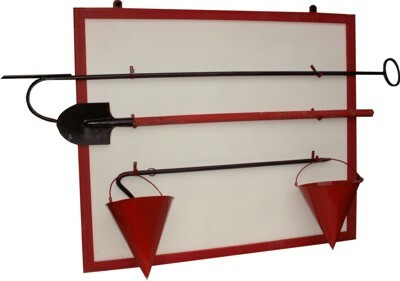 Fire Shield - a shield on the wall to accommodate the primary fire extinguishing equipment, such as a boat hook, shovel, crowbar, ax, buckets conical shape. Painted in red color. 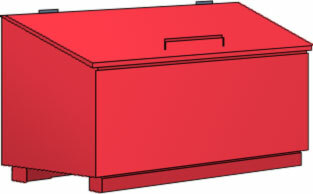 Can be closed by a mesh or lattice fence.